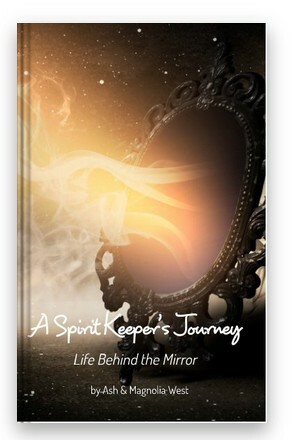 A brand new book that discusses the life of being a Spirit Keeper, the inner journey, and provides insight into the relationship between the living and the spirit companions we keep around us. A thoughtful and powerful book that will help those who are Spirit Keepers further understand their journey and their connection with the supernatural, as well as provide incredible insight for those who are new to this journey. The book discusses the struggles, the joys, and the unique perspective of those who can see beyond what is seen. This is a more in-depth look at the personal journey of being a Spirit Keeper and how being a Spirit Keeper provides those called to this path enrichment beyond compare. We strongly recommend you at least read our Spirit Keeping book for a more in-depth look into the basics of Spirit Keeping. This book is more for additional thoughts and insights into Spirit Keeping for those who are already keeping spirits. A softcover book with 60 pages in black & white.